Immediate refilling of fire suppression systems saves lives and property. Minutes count; any delay could result in widespread damage or total devastation. Having a local facility that provides instant turnaround on your gas and foam systems can make all the difference. Don’t wait until disaster strikes to make this decision—do it now! Albilad Fire Fighting Systems Company Limited is well known all across Saudi Arabia for cutting-edge fire protection services. As one of the oldest companies in the region, we have expertise and well-equipped local manufacturing facilities that can provide the instant response that you require. 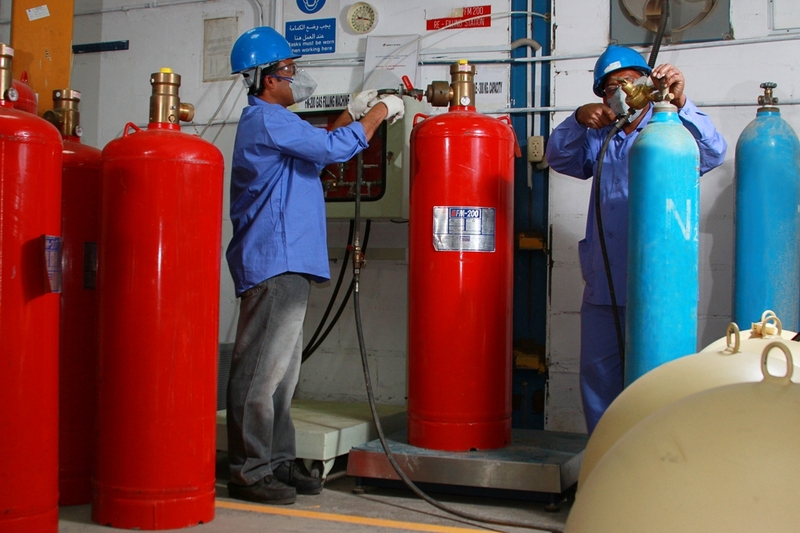 Because many of the fire suppression systems, including gas and foam systems, are made in our facility, we are always ready to meet your biggest and most complex requirements. Being an Albilad customer offers you unmatched advantages. Not only do we provide complete fire suppression solutions, but we can also take care of your maintenance, replacement, rebuilding, and refilling requirements. Why settle for anything less than your complete peace of mind? Place an order with Albilad for refilling foam systems and CO2 suppression systems in Saudi Arabia/Middle East. Albilad’s firefighting systems are ideally suited to the requirements of Saudi Arabian industries. We represent many well-known names including TYCO / VIKING / SOLBERG. Our advantage lies in providing world-class fire fighting systems that are customized to local requirements. Every region has specific fire safety standards. 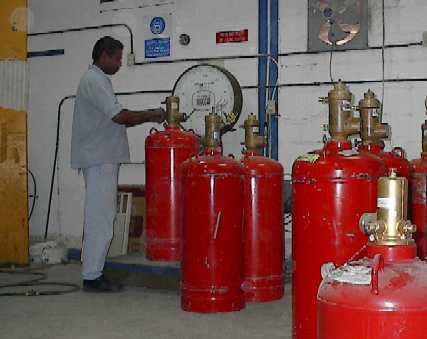 As the oldest fire protection company in Saudi Arabia, we are well-versed in regional requirements. In addition, our extensive experience with wide ranging applications enables us to set up the exact fire protection system required for your facility. Preparation is essential to a quick and effective response to fire. Albilad Fire Fighting Systems Company Limited has been protecting life and property from fire in and around Saudi Arabia for more than 35 years. We specialize in turnkey fire protection systems for high-risk areas. You can count on us to make the vital difference in designing and maintaining your fire suppression systems, refilling gas and foam systems, and making sure you are always ready for whatever might happen. Place a Service Contract/Agreement for refilling gas and foam systems. Or contact us for more information about fire suppression system testing and maintenance.